We are a creative studio based in Boston, MA and we believe the best things in life are fun, interactive and just the right amount of silly. 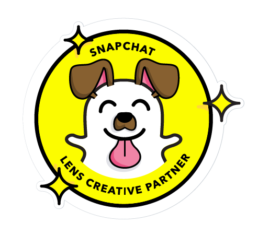 Whether your next project is a messaging sticker pack of dancing llamas or a Snapchat augmented reality effect promoting your new product, our full-service studio will take your next project from the spark of an idea to a blazing reality. Our expertise, timeliness and quality of work has gained us the trust of a wide range of clients including: Disney, Garfield, Mars, DreamWorks, Funko, Snap-On Tools and Proctor & Gamble. We are all about the fun. If we aren’t having fun making it, you aren’t going to have fun using it. We just really love what we do. Like we said, only winners get sprinkles. We were one of the first companies to offer brands a presence in the digital sector. We started out offering branded virtual goods within online worlds, mobile games, connected game consoles and TV set-top devices. Soon we became a leading provider of branded digital stickers within messaging apps such as LINE, Kakao Talk and We Chat. Our credibility and success in Asia led to us expanding partnerships across Europe and the Americas with platforms such as Apple iMessage, BBM, Facebook Messenger, KIK, Viber and others.